REGULAR SEASON - The preliminary game schedule is posted in the Game Calendar. All games and tournaments will be posted on the '06s calendar below. Coach Rob Messner as Squirt Hockey Director and Head Coach for our Central States and NIHL Teams. 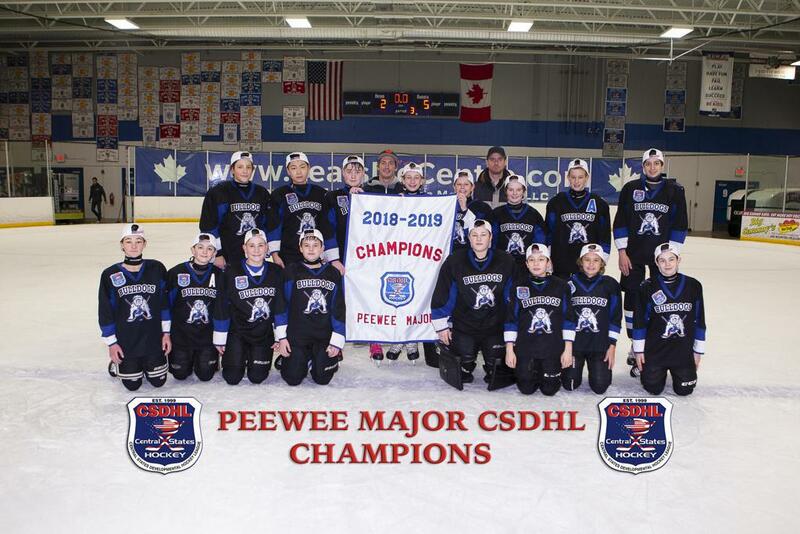 CONGRATULATIONS to our PeeWee Major Bulldogs...2018-19 Central States Champions. Their 5-2 win over the Falcons secured the victory. Way to Go Dogs! Bulldogs Rock at Western Michigan Classic!